Posted in Press and tagged as 54 Below, Videos. 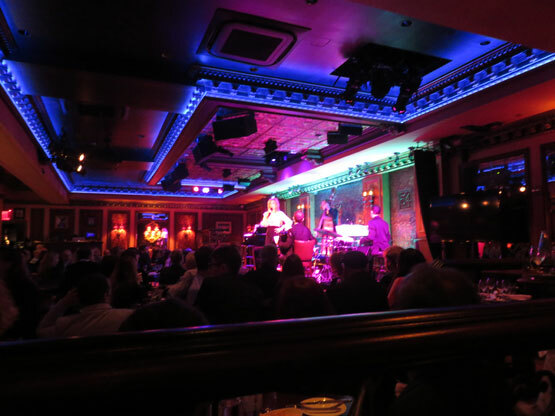 Last Thursday night I went over to 54 Below on West 54th between 7th and 8th, where Yanna Avis was performing her program of cabaret. Yanna, who is French, was married for a long time to Warren Avis, the rent-a-car tycoon. I can’t remember if we first met in Los Angeles or here in New York, but we have a lot of mutual good friends and have known each other a long time. Yanna had been an actress before she married Warren, but she put that away to have time to spend with her husband. Warren died at the ripe old age of 92 eight years ago this last April. It was about that time that Yanna began to focus once again on her love of performing. I call her The Chantouze. Posted in Press and tagged as 2015, 54Below, cabaret, chanteuse, chantouze, live performance, New York Social Diary, NYSDOL, YannaAvis.